Cardinals have two responsibilities: to serve as special advisors to the Pope and, until turning age 80, to elect a new pope when there is an opening. The Consistory will bring the total number of Cardinals to 214 (out of a Church of more than one billion Catholics). Over 100 people from the Archdiocese of Baltimore will join pilgrims from the Cardinal-designate’s previous assignments with the Archdiocese for the Military Services and the Archdiocese of New York, as well as those from his new assignment leading the Equestrian Order of the Holy Sepulcher of Jerusalem, on a special pilgrimage to Rome for the Consistory. The Consistory will be broadcast live on WBAL-TV (Ch. 11) and EWTN at 4:30 a.m. (EST) on February 18. EWTN will rebroadcast the Consistory at 6 p.m. on February 18. The events will also be streamed live online (go to archbalt.org to link to the Vatican feed) and at www.CatholicTV.com at 12 noon and 8 p.m. on February 18. Msgr. Rick Hilgartner will provide commentary on Channel 11. On Friday, February 17, all Catholics in the Archdiocese of Baltimore are invited and encouraged to wear red in celebration of Cardinal-designate O’Brien’s February 18 elevation to the College of Cardinals and the honor it brings to the Cardinal-designate and the Archdiocese. 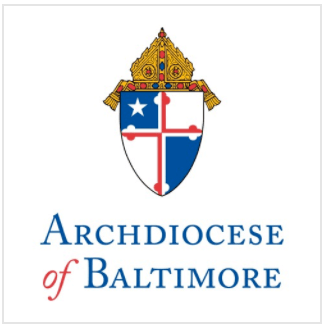 In addition to dressing in red on February 17, students in Catholic schools (and religious education classes) throughout the Archdiocese of Baltimore will learn about cardinals of the Catholic Church and the history of Cardinals and the Archdiocese of Baltimore. Pray for God’s blessing on Cardinal-designate O’Brien and give thanks for his service to advance the mission of the Church in the Archdiocese of Baltimore by sending him an e-message. To off your prayers and words of thanks, fill out the online form at www.archbalt.org. The new Cardinal O’Brien will celebrate a Mass of Thanksgiving for his elevation to the College of Cardinals as well as his service as the 15th Archbishop of Baltimore on Sunday, March 4 at 12:30 p.m. at the Cathedral of Mary Our Queen in North Baltimore. The Mass will be followed by a reception in the Cathedral School immediately following the Mass. All are welcome at both events. The Archdiocese of Baltimore is home to approximately 500,000 Catholics, 153 parishes, 71 Catholic schools serving approximately 30,000 students. It was founded in 1789 and is the oldest Catholic diocese in the United States.